What began as an idea for the University of Maryland business plan competition more than a decade ago has evolved into Zoosk, one of the world’s most successful online dating platforms that now boasts 25 million members from 80 different countries. 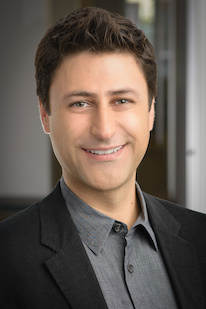 At its helm is co-founder and CEO Shayan Zadeh, M.S. ’02, computer science, who attributes much of the company’s success to a more sophisticated use of the data mining and data optimization techniques he studied at UMD. “We are the only dating company that can look at massive amounts of data from the consumer and use that information to help individuals find the best romantic partner,” describes Zadeh, who created the company with his UMD business plan competition partner Alex Mehr, Ph.D. ’03, mechanical engineering. Both business partners had used online dating services and saw a great opportunity. “Building on our personal experiences with online dating services, we felt strongly that we could bring a big data approach to online dating. We wanted to apply our know-how to an industry that would have lots of impact on people in their daily lives,” explains Zadeh. For now, Zadeh remains focused on growing Zoosk, improving the product and providing employees with opportunities to advance in their careers. “While we now have the tools to process vast amounts of information, we look to universities like UMD to help train the workforce that is needed to use the tools to turn data into knowledge,” says Zadeh. In March, Zadeh spoke at the College of Computer, Mathematical, and Natural Sciences’ third annual Bay Area Alumni Networking Reception at the Museum of Computer History in Mountain View, Calif.